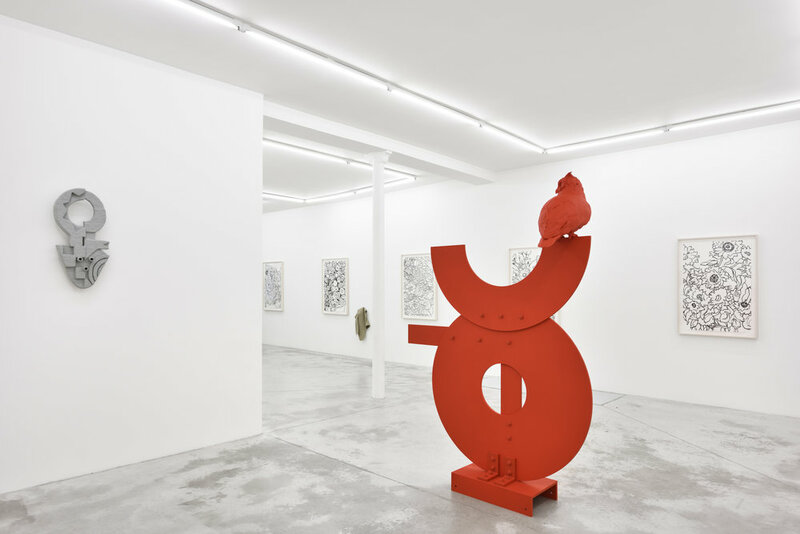 With his new exhibition at Praz-Delavallade Paris, Nathan Mabry explores interconnected relationships of art history’s ethos, tropes and assumptions in both obvious and subtle ways. Furthering the enigmatic and mystical qualities of these works, the handmade, the appropriated, adaptation and the found have been considered. The context for expression and the authority of objects is examined while reflecting aesthetic shifts. 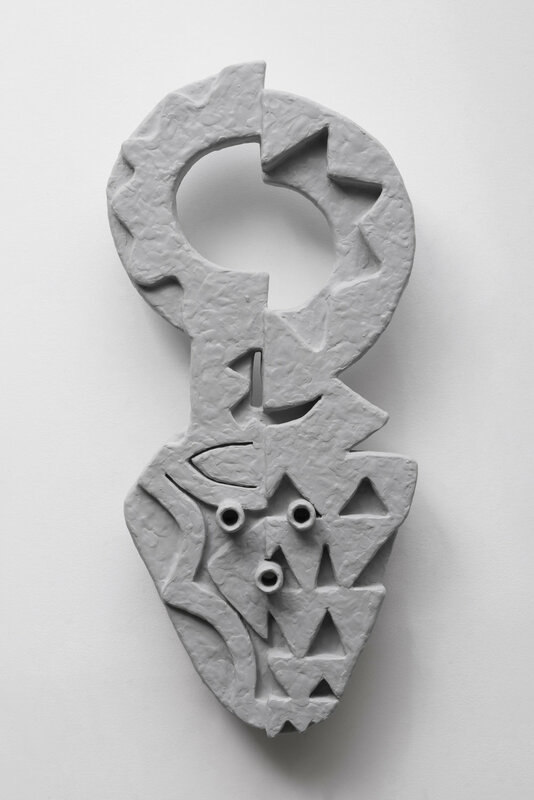 Relief (Mask) are new wall based sculptures. Derived from the Bedu Culture and rituals, Mabry has created three masks out of wood and clay. Bisected, arranged and stacked with heightened attention to geometry and abstraction created from studying the positive and negative space, each mask is formed from a version of an artifact in Mabry’s studio. Leaving traces of the sculpting process, as if the clay is still malleable, each mask is then coated with an industrial primer and rubbed with a powdered version of an herb or plant that has a history of therapeutic or magical qualities. Referencing the original myth of the Bedu society in which a father discovered a mythological creature when he was in the bush foraging for medicinal herbs to help his ailing son. Mabry’s masks further bring into focus ethnographic culture and arts influence on modernism and the dissemination of colonialism and tourism. The masks offer a sense of cubism and are almost like vases with a sun-like flower blooming as a crown. 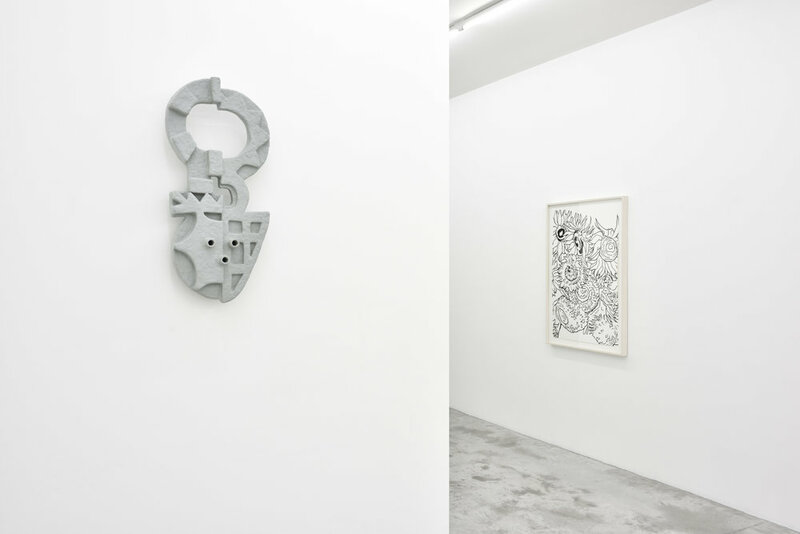 The five graphite drawings titled Bouquet are at once boldly graphic as well as organically soft and intricately patterned. Each depicting a section of a revered still life — a Redon, a Monet, a Degas, a Van Gogh, and a Ruysch - reinterpreted from the original into an educational tool then again transformed using the dark line of the artist pencil to create the varied touch on paper. Refocused, enlarged and cropped capturing a slight bit of each vase from the original. 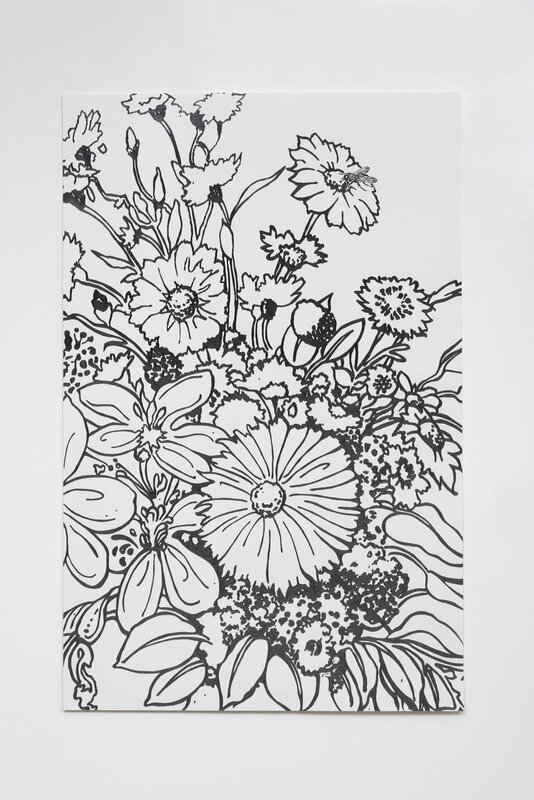 The flower imagery elicits a familiar, playful response almost becoming wall paper. Somewhere amongst each composition Mabry adds in a fly that is a pollinator, placed at the center of the flower, helping to procreate and carry the seeds of the next life. Also, a symbol of memento-mori reminding us of the fragility of the flowers existence cut and arranged, as well as life itself — a vanitas moment. 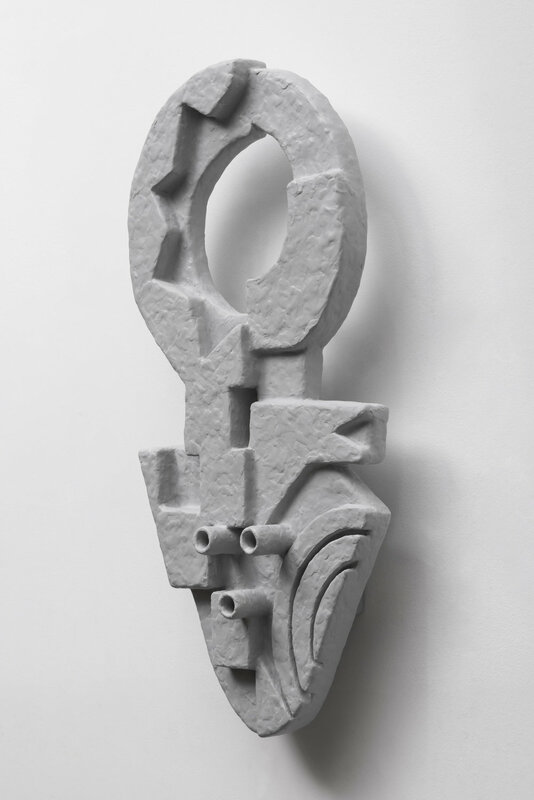 The Nostalgia of the Infinite (Le Cyclope) is the newest work in a recent series in which Mabry investigates iconic metal sculptures from mid-century modernism with an added surrealism, mixed with notions of past and present. This work feels like an ancient glyph and a Great Horned owl has happened to perch upon it. A fleeting moment forever captured and unified in the glorified red paint. The source of the plate structure is a highly authorized geometric abstraction by David Smith Circle series—The «Circle» (1962) that has aesthetic relationships to the Bedu masks and celestial systems. Mabry further alters and remixes the original to highlight a figurative aspect. At once a one-eyed mask, a sitting owl, and a letter font spelling OWL; it also elicits impressions of Picasso, Miró as well as other Cubist and Constructivist influences. A nighttime hunter, the owl represents an archetype of knowledge with its dynamic look off into the distance. 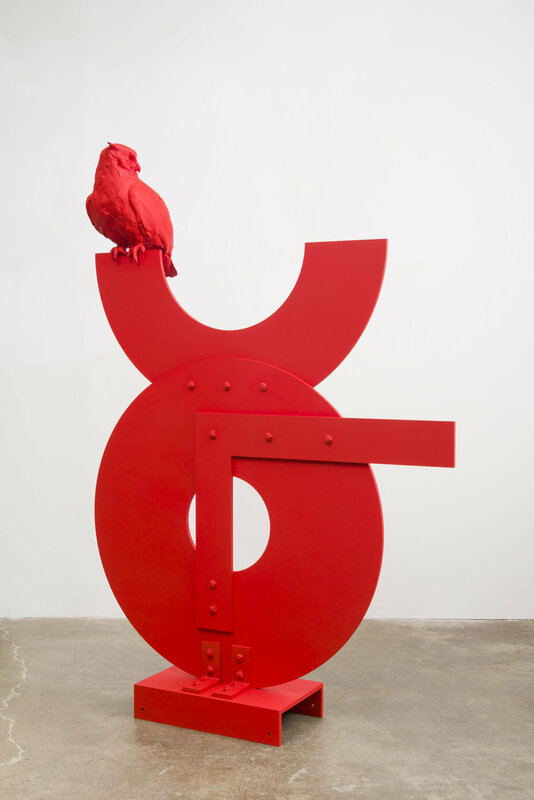 As the viewer attempts to locate the gaze of the bird the geometry and figurative quality of the plate metal sculpture reveals itself further. The soft organic form against the hard-edge geometry sculpturally engages through texture and form, adapting an already told story to reveal new myths. 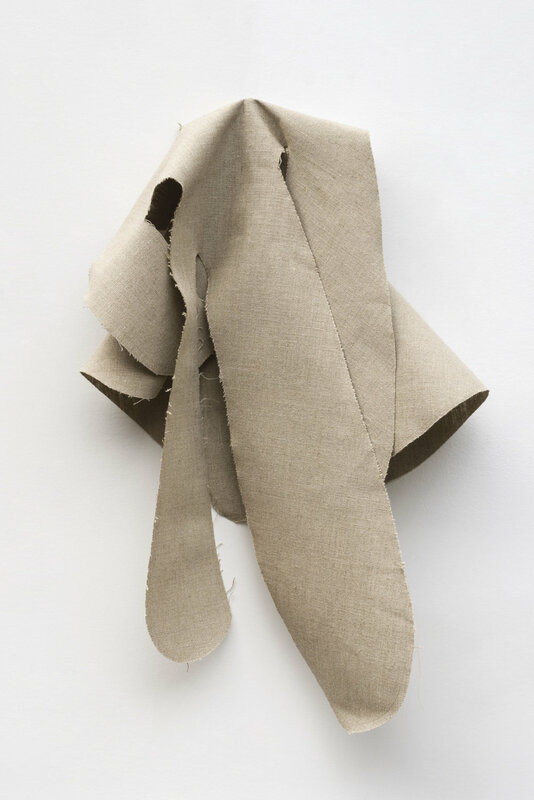 Feels (Ghost) are Mabry’s first exploration in textile based works. 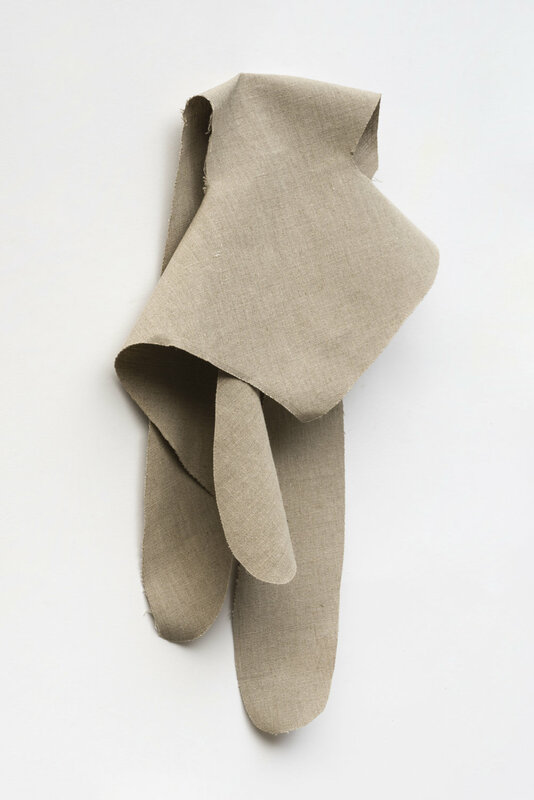 Each cut piece hangs from the wall with a swaging drape, made from Belgian linen. They have a dialogue with Lucio Fontana, Robert Morris and Louise Bourgeois. The form is an enlargement of Matisse’s paper cut outs establishing a conversation about art historical practice and the canonization of certain approaches. 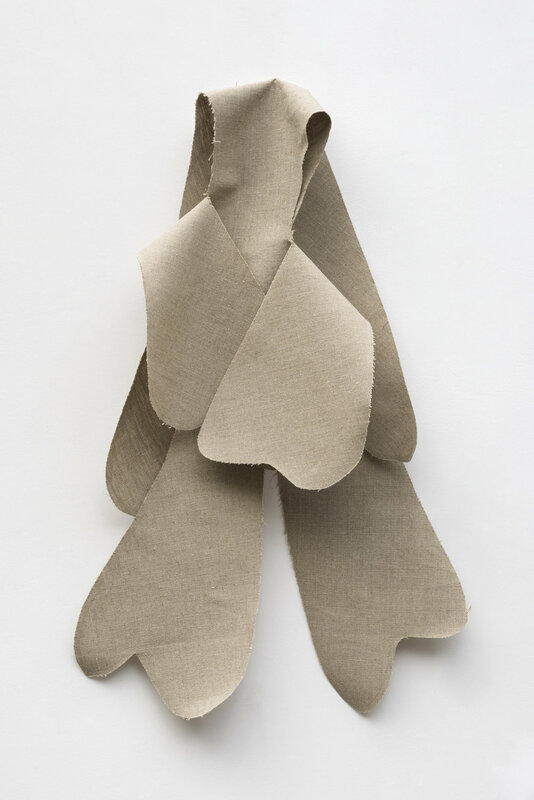 The associations with linen gives a first impression of what appears to be the representation of ghosts and faces, reinterpreting a motif into spirited romanticism.